Tracing the emerging division between church and state in the West from the eleventh-century Gregorian reform movement and the investiture conflict, Power and the Holy in the Age of the Investiture Conflict helps you to see the conflict from a wider scope. Although traditionally aligned as a an elitist struggle between church and state, this text recasts the narrative in terms of a broad shift in conceptions of the nature of power and the holy. 14. Wibert, How Bruno of Toul Became Pope, 1054? 43. Garcia, Criticism of the Papacy: The Relics of Saints Silver and Gold, ca. 1100? Maureen C. Miller is a Professor of History at the University of California, Berkeley, and has also taught at George Mason University and Hamilton College. 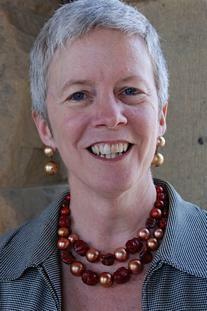 A specialist in medieval European history, she received her doctorate from Harvard University. 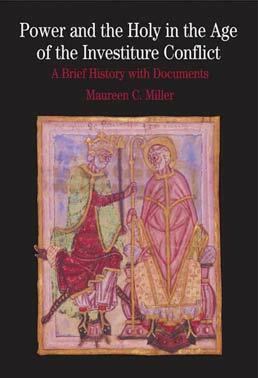 She is the author of The Bishop's Palace: Architecture and Authority in Medieval Italy (2000), which was awarded the Helen and Howard R. Marraro Prize of the Society for Italian History Studies, and of The Formation of a Medieval Church: Ecclesiastical Change in Verona, 950–1150 (1993), which was a winner of the John Gilmary Shea Prize of the American Catholic Historical Association.